This zinc plated, heavy duty cart speeds product transportation and handling.The 3 shelves are sloped 1-1/8" from front to back providing load handling stability and product retention. 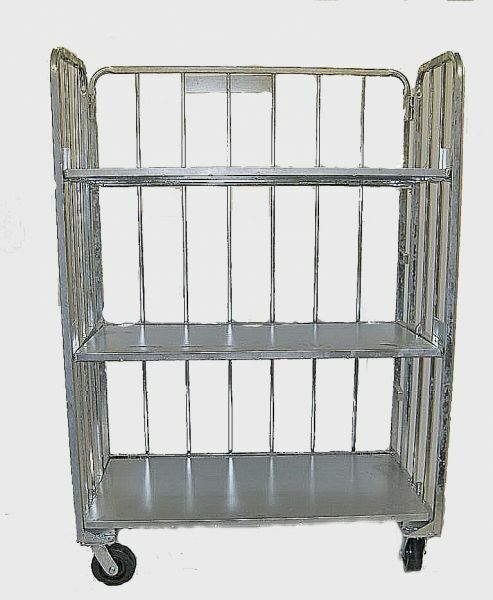 With a folding depth of 6 1/2" this cart can be securely stored in racks or L-frame configurations when not in use, freeing up valuable floor space. 4-6" swivel casters allow for easy maneuverability. These carts work great in the dairy, manufacturing, retail, snack food and many other industries. Listed are some of the features for this cart.